Nicholas returns to the Sioux County Oratorio Society as a soloist in The Messiah on April 27 at 7:30 PM at the BJ Haan Auditorium on the campus of Dordt College in Sioux Center, Iowa. 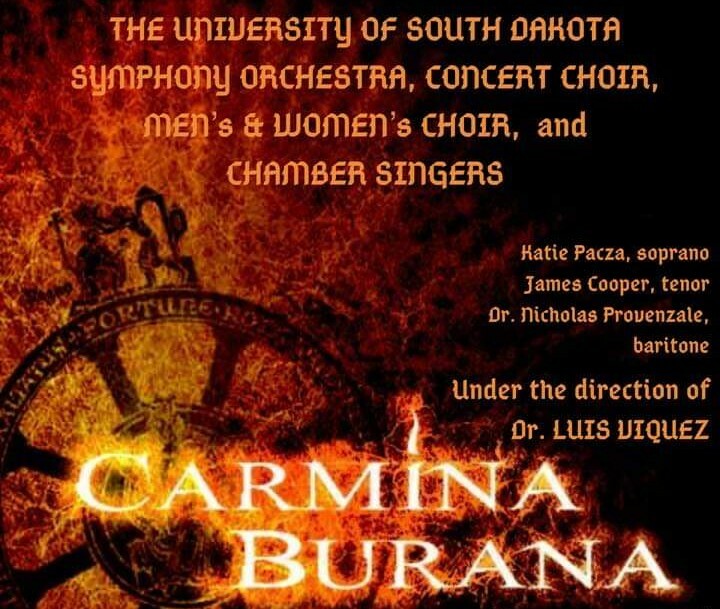 Nicholas will be performing the baritone solos in Carl Orff's Carmina Burana with the University of South Dakota Symphony Orchestra on April 12, 2019 at 7:30 PM in the Aalfs Auditorium on the campus of the University of South Dakota in Vermillion. Nicholas is delighted to be performing this Russian Orthodox masterwork with the South Dakota Chorale in Sioux Falls, South Dakota, and Sioux City, Iowa. Click here for more information. Nicholas will make his debut with the South Dakota Symphony Orchestra as a soloist in The Messiah, November 30th and December 1st, 2018. Click here for more information. 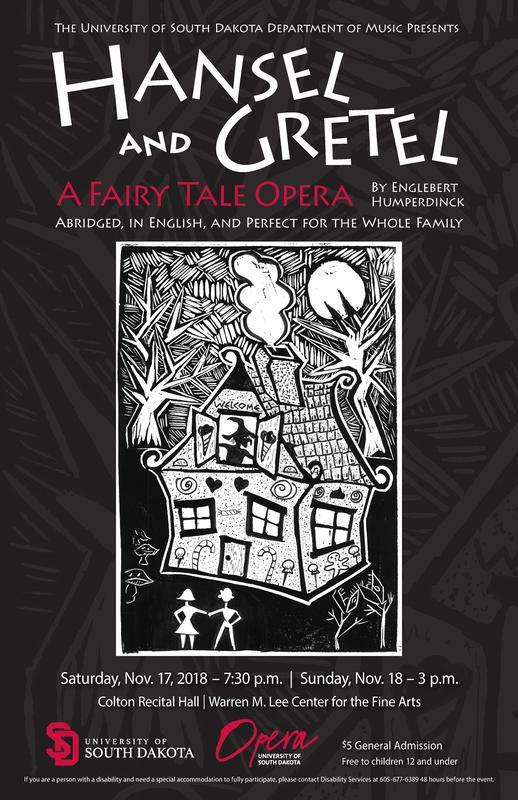 Under the direction of Dr. Provenzale, the University of South Dakota Opera will present Humperdinck's Hansel and Gretel​. Click here for more information. 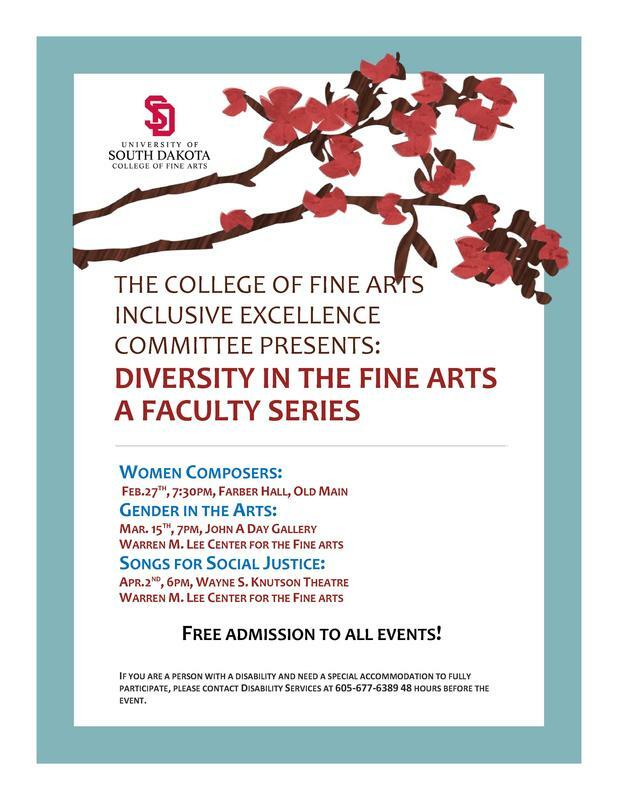 Nicholas will join cellist Sonja Kraus to perform Paul Lombardi's "Hearts" at the University of South Dakota. More information can be found here. Appearing for the first time in Chiang Mai, Thailand, Nicholas will join pianist Maykin Lerttamrab for a performance of When I Have Sung My Songs, on Thursday, June 14th, at 7:30 PM in the CRK Recital Hall, College of Music, Payap University. Nicholas is excited to return to Idyllwild Arts Academy in California to perform with his friend and collaborator Parvati Mani. They will perform a recital of songs by Ernest Charles, When I Have Sung My Songs, on Friday, May 11th at 2:00 PM in Stephens Recital Hall. Nicholas will be a soloist in Haydn's Missa in tempore belli (Paukenmesse) with the Sioux County Oratorio Chorus and chamber orchestra in Orange City, Iowa. Click here for more information. 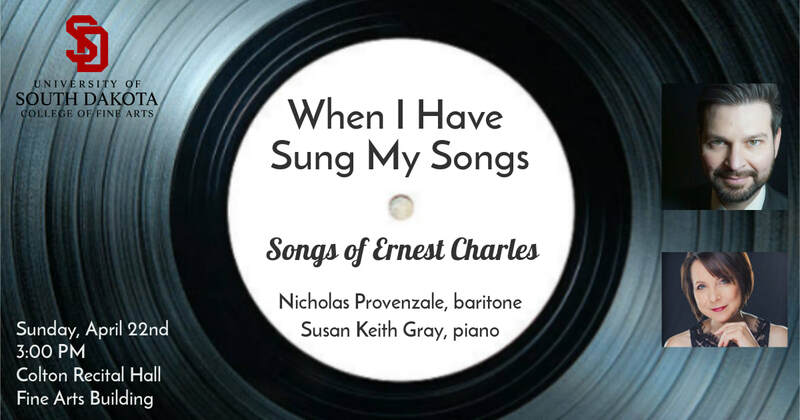 Nicholas and Susan Keith Gray will present a selection of songs by American composer Ernest Charles on April 22nd, 2018. 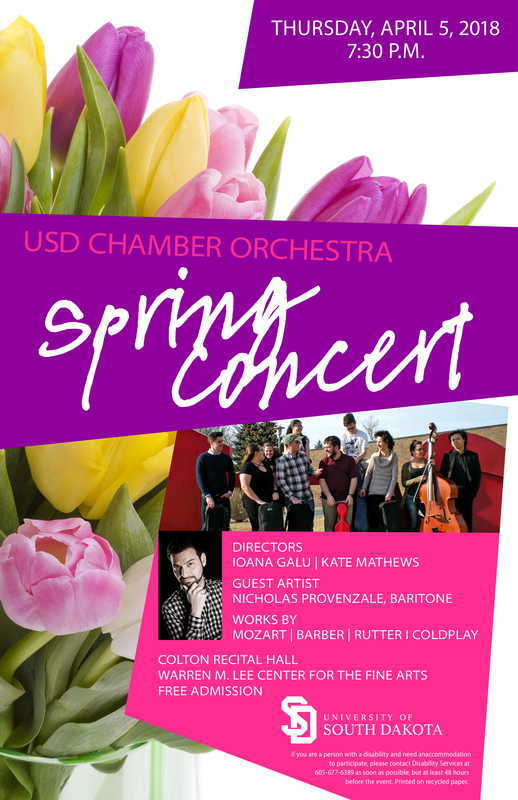 The University of South Dakota Chamber Orchestra's Spring Concert will feature Nicholas in a performance of Samuel Barber's "Dover Beach." Nicholas will be performing a selection of songs by Pauline Viardot (1821-1910) with pianist Alessandra Feris. Nicholas is excited to be joining the award-winning, Grammy-nominated, South Dakota Chorale for their next project, Baltic Prayers, with concerts in Sioux Falls and Sioux City. Click here for more information. 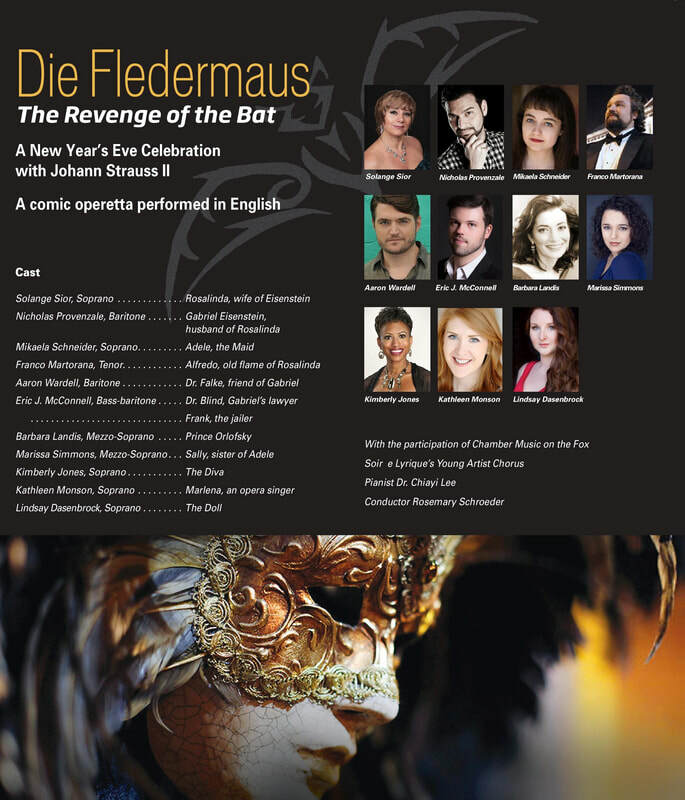 Nicholas is delighted to be singing the role of Eisenstein in Soirée Lyrique's New Year's Celebration production of Die Fledermaus. 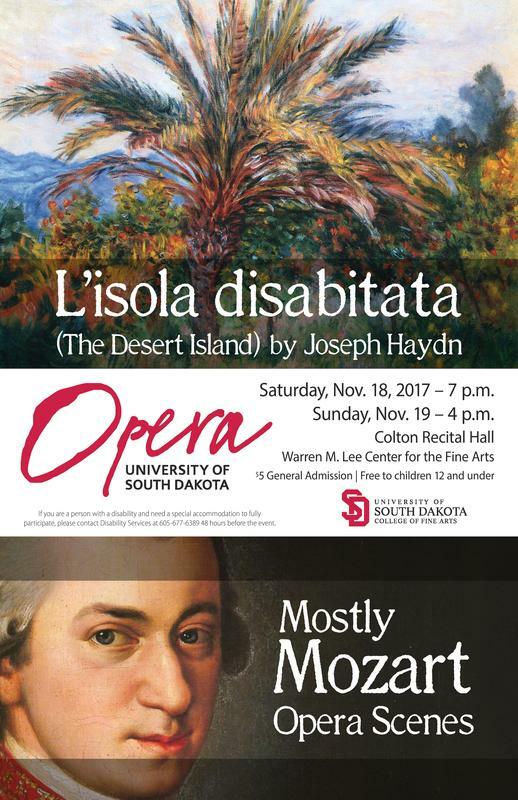 Under the direction of Dr. Provenzale, the University of South Dakota Opera will present Haydn's "L'isola disabitata" and "Mostly Mozart." Click here for more information. Nicholas has been selected as a semi-finalist in the Mary Trueman Vocal Arts Competition, sponsored by the Art Song Preservation Society of ﻿New York. The Semi-Final Round will take place September 30, 2017 in New York City. Nicholas is excited to announce that he will be joining the faculty of the University of South Dakota as Assistant Professor of Voice/Opera in August. He is eager to begin this position with such an excellent Department of Music and award-winning opera program. Nicholas will be singing once again with Soirée Lyrique in Elgin, Illinois. On April 23 he will join other soloists and Chamber Music on the Fox to present selections from Light Opera. Click here for more information. Shelley Cooper and Nicholas Provenzale present an evening of Musical Theatre Favorites at the Doudna Fine Arts Center of Eastern Illinois University. Click here for details. Nicholas is pleased to announce that he has been named the 3rd Place Winner of the Art Song Division of The American Prize. Click here for the official announcement. Nicholas has been preparing the singers and will conduct four performances of Pasek and Paul's Dogfight at Eastern Illinois University. Click here for tickets and more information. Nicholas will sing Schumann's Liederkreis, Op. 24 at a private residence in Sullivan to benefit The Moultrie County Beacon and The Moultrie County Counseling Center. On April 10, 2016, Nicholas will join Soirée Lyrique in Elgin, Illinois for a concert of excerpts from operettas by Franz Lehár, Johann Strauss II, and more. Click here for details. 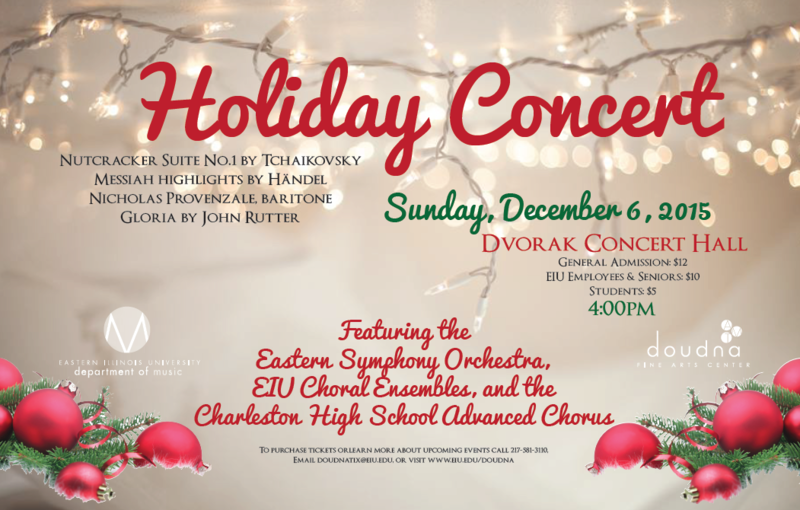 Nicholas will be a featured soloist in highlights from Handel's "Messiah" with the Eastern Symphony Orchestra and EIU Choral Ensembles. Nicholas will be a soloist in the Francesco Durante "Magnificat" with the Bellarmine University Oratorio Society. Nicholas will present a recital with friend and collaborator, Parvati Mani, who is on the piano faculty at Idyllwild Arts Academy in California. He will also work with the young singers of the academy in a master class. Nicholas is delighted to be joining the voice faculty of the Department of Music at Eastern Illinois University. Nicholas once again served as an adjudicator for the Bangkok round of the Osaka International Music Competition. Nicholas will present a voice masterclass, the first of its kind in Myanmar, and perform a concert of classical and musical theater favorites. As part of the international Bach in the Subways Day, Nicholas will sing the role of Schlendrian in a staged version of Bach's "Coffee Cantata." Performances will be at various Bangkok MRT stations throughout the day. More details to follow. Click here for more information. 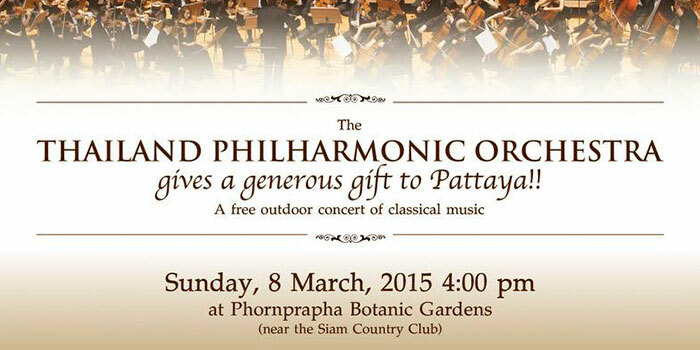 Nicholas will be a featured soloist with the Thailand Philharmonic Orchestra in a concert of classical and popular music at Phornprapha Botanic Garden in Pattaya. More information can be found here. Nicholas and the two other winners of the Hawaii Public Radio Art Song Competition were featured in a broadcast of Singing and Other Sins, the only radio program dedicated entirely to art song. Listen to the broadcast here. Nicholas served as an adjudicator for the SETTRADE Youth Music Competition, sponsored by the Stock Exchange of Thailand, and Mahidol University. 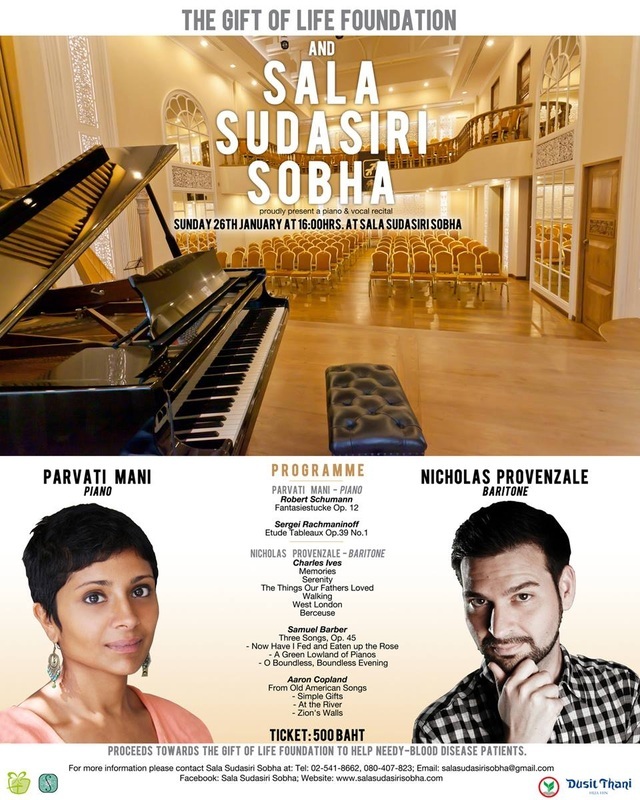 After a successful recording session for Hawaii Public Radio at Bangkok's Sala Sudasiri Sobha concert hall, Nicholas and pianist Parvati Mani have been invited to perform a recital as part of Sala Sudasiri Sobha's international concert series. Nicholas has been invited to sing the baritone solos in Handel's "Messiah" this December with the Bangkok Combined Choir and Orchestra. 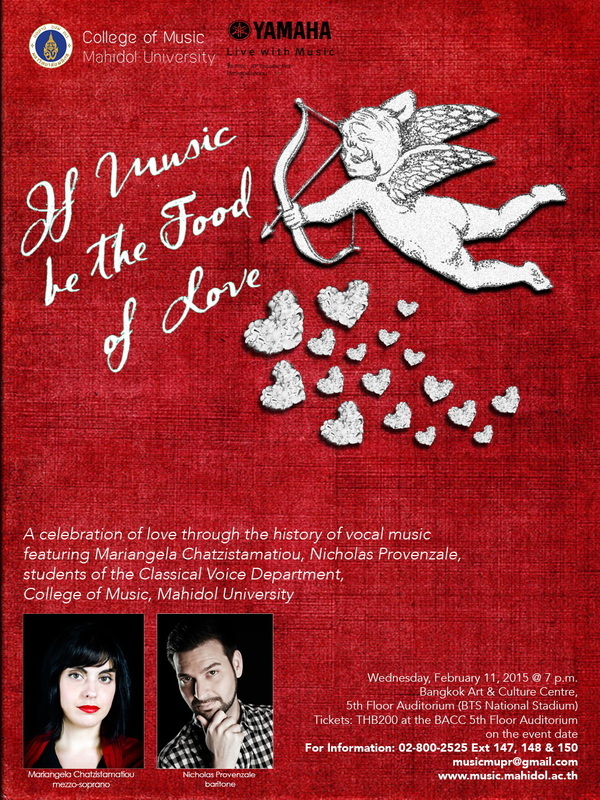 Nicholas will join his friends and colleagues in two upcoming recitals showcasing faculty from the Musical Theater and Classical Voice Departments of the College of Music at Mahidol University. Nicholas joined the Musical Theater Department of the College of Music, Mahidol University to perform the role of Emile De Becque at Burapha University. Nicholas served as an adjudicator for the Bangkok round of the 14th Osaka International Music Competition. Nicholas Provenzale was selected as a winner of the Hawaii Public Radio Art Song Contest. The contestants were heard, and the winners announced, during the broadcast of "Singing and Other Sins" on Hawaii Public Radio. More information about the contest and a link to a recording of the broadcast can be found here: http://www.hawaiipublicradio.org/artsongcontest. As a winner, he will be featured in recital on a future broadcast. The winning recording was of Guastavino's "Préstame tu pañuelito" with pianist Cliff Jackson.